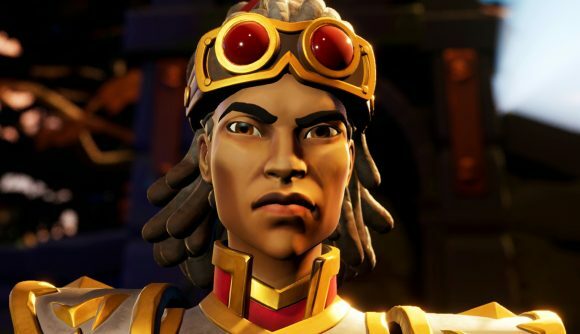 A third Torchlight game is on the way in the form of Torchlight Frontiers, a “shared-world action-RPG” coming to PC and console some time next year. It’s been a bit of a rocky road to get here, but early word on the new game’s direction sounds promising – if quite a bit different from the previous games. This is still a Diablo-esque game, all about slashing through enemies in procedurally-generated dungeons and grabbing ever more powerful loot to defeat ever more powerful monsters. Despite the “shared-world” moniker, the devs say you shouldn’t expect this to quite be an MMO, even with some persistent areas shared between players. Schaefer was one of the chief creatives involved in the first two Diablo games, and went on to co-found Runic Games – the studio behind the first and second Torchlight titles. 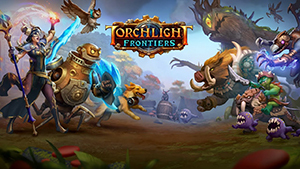 Runic shut down last year under publisher Perfect World, but the official statement suggested there was more life in the Torchlight series. In fact, Echtra was founded two years ago by Schaefer and other Diablo vets, and it seems they’ve been quietly working on Frontiers ever since. We don’t have much detail on what to expect from the new game, since the trailer just offers a quick bit of story flavour – though one point being emphasized early is a greatly expanded pet system. We’ll find out more soon, as the game’s scheduled to offer a playable demo at both PAX West and Gamescom. In the meantime, you can also head to official website and sign up for a beta.